After the last week you'd have thought that John Howard was the most hated figure associated with cricket. This was after the supposed formality of his appointment as Australia and New Zealand's choice as rotating President of the ICC was scuppered by the Asian countries, South Africa and West Indies all blocking the move. The ICC had done what Australian voters had failed to do four times when Howard was running as Prime Minister. However, it would seem that another Australian is arguably even more unpopular than the famously 'cricket tragic' Howard. Even his own country's supporters don't seem to be too keen on what is a potent cocktail of hate encompassing arrogance, tantrums, childish sulks, tears and a selfish streak (listen to any interview and it is all about him) that makes Kevin Pietersen and Jacques Kallis look like the ultimate team players. Despite having a stellar year in all formats of the game, this cricketer if anything seems to have got more unpopular even amongst the banks of green and gold acolytes. And judging by this picture you can add gormless to his list of 'attributes'. Other than Ricky Ponting and Shane Warne, does anyone actually like him? Even his Mum and Dad didn't look that happy when Watson's comical quest for a test hundred was finally conquered in the Boxing Day test last year against Pakistan (and even that required him to be dropped on 99). 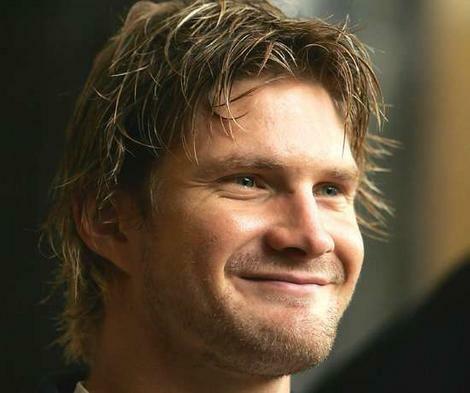 Australian cricket fans, please let us know at the Reverse Sweep why you don't like Watson and we'll publish a montage of the best reasons (minus any defamatory or gross ones of course!). Even though we are not Australian and indeed only lived there for a year at the end of the 1990's, we have an unfathomable dislike of former Australian Prime Minister John Howard and were not looking forward to his confirmation as Vice-President of the ICC prior to taking over the full Presidency in 2012. The thought of someone who made ill-advised comments about Murali's bowling action when he was at the helm of the Australian Government didn't suggest that he would build any bridges with the new power base of cricket in Asia. So it was with delight that we saw that following confirmation yesterday that six countries were ready to block Howard's appointment, the ICC officially rejected the self-confessed cricket tragic today much to the chagrin of the Australian and New Zealand boards who had endorsed Howard's candidacy. We're not sure who the Antipodeans will come up with next but even Kylie Minogue or Dame Edna Everage would be preferable to Mr Howard. So it is with pleasure that we can deliver the following message to Howard from Winston Churchill and all fellow cricket fans. Yesterday we suggested that John Howard had been sharpening his spinning skills in order to combat Lalit Modi in his new role as El Presidente of the ICC. Well, it looks like Lalit has got his first punch in early on the former Australian Prime Minister as he arrived for this first day at the office today. The video below shows just the lengths that Modi will go to in what should be a fascinating battle.